Even though the official release date isn’t until Saturday — about 36 hours from now — a friend of mine has already received her copy of my book. Couldn’t have happened to a cooler person! Thanks for sending me this picture, Janine. 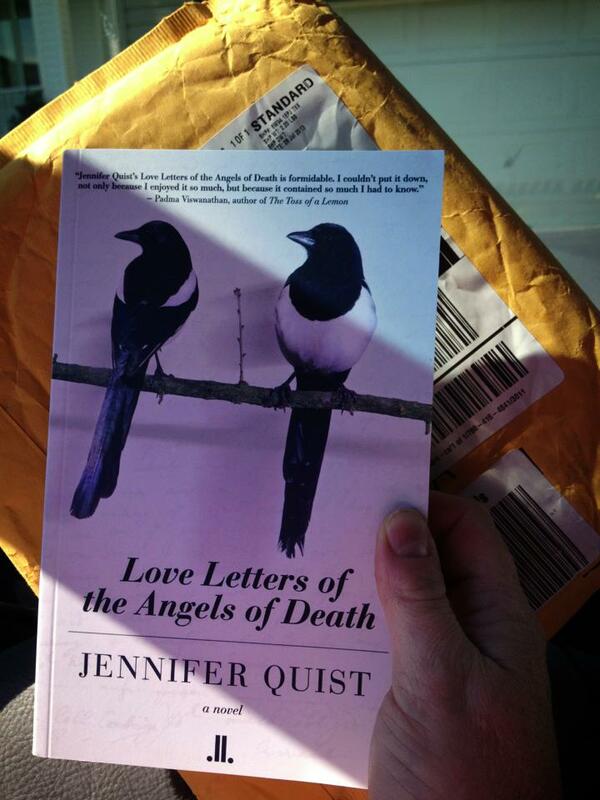 This entry was posted in Books and Writing, Canlit, Love Letters of the Angels of Death, Publishing, Reading and tagged Amazon, books, canlit, jennifer quist, Linda Leith Publishing, Love Letters of the Angels of Death, online books sales, publishing, release date, writing. Bookmark the permalink.